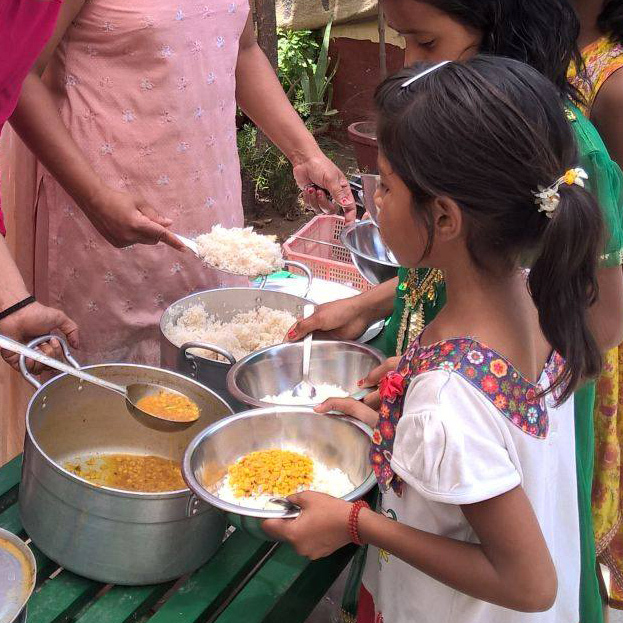 IFBN is serving 1 million meals to children in 11 schools in 4 cities in collaboration with the Rotary India Literacy Mission (RILM) and Rotary Clubs. RILM under its T.E.A.C.H program ensures overall development of out of school children and children in Happy Schools by focusing on teacher support, e-learning, literacy and child development. IFBN brings synergy to this program by taking care of food and nutrition of school children. IFBN through its network of donors and corporate partners is providing 1 million meals which is leading to better health and nutrition of these children and also improving their learning outcomes.